Winter is nigh. Long gone are the evenings where you’d sit in the garden, watching the sunset with a little tipple. Now it’s more evenings by the fire with a hot chocolate. Some prefer the latter, some prefer the former. No matter what you love most, now is a good time to reflect on how you can improve your garden. Having a back garden you’re happy with is unequivocally important to having the home of your dreams. You can have your dream house, but with an eyesore for a garden, you won’t have a dream home. As a dream home entails more than simply your house. A dream home is a dream driveway, dream house, dream garden. Here at Cowleys, we want all to have their dream home. Which is why as specialists in building and maintenance, we’re keen to share our expertise and top tips. Pizzas have hit a wave of popularity; there are pizzerias popping up everywhere. 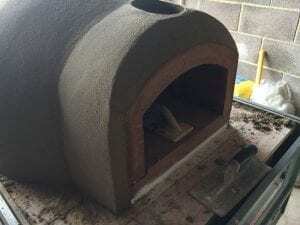 If the fever has hit you, then why not get a pizza oven in your back garden? Make your barbecues the best around by serving up some authentic Italian cuisine. In a wood fired pizza oven, pizzas only take 90 seconds to cook. Bellisimo! Here’s an oven we cooked up recently. When it comes to your garden there are many routes you can take. Especially with landscaping; due to the levels of creativity there is to be sowed when encountering a blank canvas. And right now, that’s what your back garden is; a blank canvas, not a burden. We’ve found in our rich history that most gardens have copious amounts of untapped potential. Even when the owner believes they’re dead space. Why do they think this? ‘Oh, it’s on a hill’, ‘it doesn’t get any light.’, ‘the kids won’t appreciate it’. In our opinion, these thoughts are mostly uninformed. We’ve never encountered a garden not worth the effort. Here’s a great example of some A-class landscaping. A-class landscaping you could have in your garden. A more expensive option, this is perhaps for people who really don’t like their garden. Or people who are desperate for more space. Or people who don’t like grass. We’re not here to judge or assume, simply to build. You can hate grass if you want. 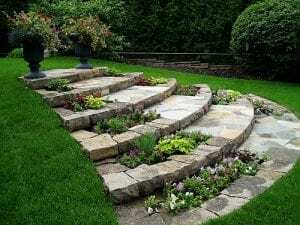 Rather than revamping your garden, you can simply build on it. Many are doing this in this current age for uses such as renting space, extra space for miscellaneous use (games room, study, bar, gym), or for storage space. 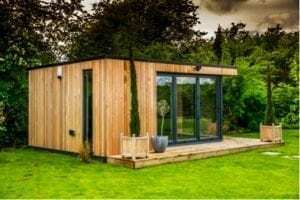 With how kinetic small homes are right now, we believe an annexe is a great choice for this space of yours. You could literally make another home in your garden! This can entail extra money, a quaint home for guests, or simply extra boasting points at the pub! Make your garden a culinary utopia. 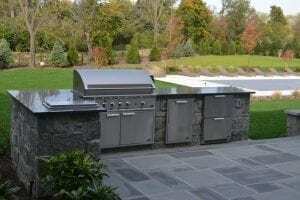 This barbecue will blow away your guests as you serve up your perfect chargrilled burgers, sausages, and corn. A perfect addition with next summer in mind. Perhaps you could pair a barbecue like this with the pizza oven we mentioned earlier. You’d have the best summer garden in Devon! What a feat that would be. You can get all of this done with us. We take really care when it comes to projects. We won’t rest until we believe we’ve totally met your needs. Why not give us a call to arrange your back garden refurbishment! A dream garden; a dream house; a dream drive – all with Cowley’s.